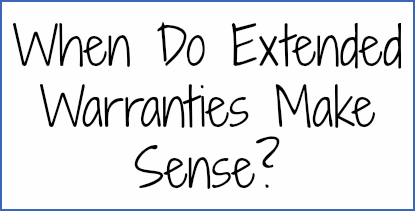 When do Extended Warranties Make Sense? March 3, 2014 · by Zack Reyes · Post may contain affiliate links. See my disclosure policy here. This extended warranty makes no sense whatsoever. Wedding rings. This should be a no-brainer. I'm a living example of why this is one of the easiest purchases to buy the extended warranty on. We bought both wedding rings and the engagement ring from Zales. I think the lifetime warranty extension on our rings was a few hundred bucks. I paid it. And not like most other extended warranties (with a frown), rather, I happily paid this one. I mean, it was a lifetime extension. On our wedding rings. Sure enough, not 2 years into the marriage, one of Katie's diamonds fell out (and we didn't notice) and the diamond was gone. It was a very nice thing to just be able to tell her, don't worry hun, we'll take care of it. And we did. It was easy, it was free and it was painless. Just like that, the warranty had paid for itself. Now we've got an entire lifetime left to still use it if necessary. Before buying an extended warranty, check with your credit card company. Many CC companies offer complimentary warranties when you use their card to purchase a product. Cars. This might get some disagreement, but I'm again writing from experience. I bought the extended warranty on my 2007 Nissan Altima for around $1200. Of course, they worked it out so I would only pay a few extra bucks on my monthly payment. Sure enough, during the course of the warranty, I used it for over $3,000 in unexpected repairs. I also still have about 4 years left on the powertrain extension. Always find out what the deductible is on any extended warranty you buy. Sometimes they are $0.00, but if there is a deductible, you need to know about it and you need to factor that into your decision in purchasing the extended warranty. Here, you're paying only $10 more than the top example, but it is for a product that is 5 times as expensive. At just over 10% of the purchase price, this is a warranty I might consider buying. Check the competition. Different retailers will offer different warranty protection and pricing. Costco actually automatically extends the manufacturer's warranty on TV's and computers to 2 years from the purchase date at no extra cost. If you're already planning on buying the warranty, that could save quite a bit. Square Trade also offers extended warranties that you can buy online outside of the store. Apple Products. If you must buy these poorly made products, get the extended warranty because I personally have not had an Apple product that lasted for more than one year with normal use. Their warranties cost a lot, but it's also nice to have the ability to walk into an Apple store as a warranty holder. They treat you a lot better. 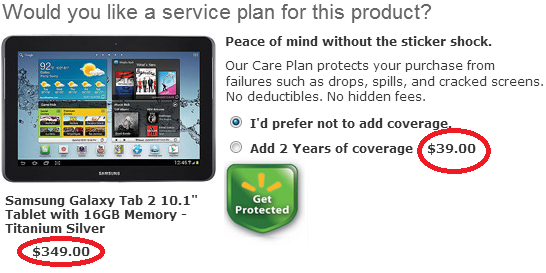 Another thing you want to keep in mind is the standard warranty that comes with most products. If the product includes a 1-year standard warranty, that is usually sufficient. Especially for electronics which might not even be kept (think upgrades) for a year. In general, if a warranty costs more than 20% of the product itself, it is probably not worth it. You're probably going to be able to repair the item for less than 20% of its cost. Also, just take care of your stuff! What are some items that you have bought the extended warranty on? Gardening Tips to Save Money! How Do You Start and How Much Money Can You Save? February 24, 2014 · by Zack Reyes · Post may contain affiliate links. See my disclosure policy here. 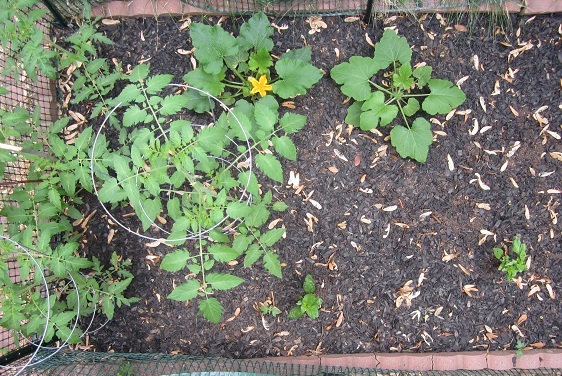 Gardening to save money is a great concept for people like us! Produce is one of those things that doesn't get a whole lotta coupon love. What's a coupon user and budget shopper to do? It's easy to blow half or more of your grocery budget on produce! While it is wonderful to eat tons of fresh fruits and veggies, it can get expensive! One solution to this problem is to grow your own produce. We have had a garden the last couple of years and have one started this year to try and cut into our produce cost. Check it out! Considering that seeds for these plants would cost around $5 total, or buy small plants for $2-$3 each, we'll see a return on investment after picking just a couple of veggies off of each plant! 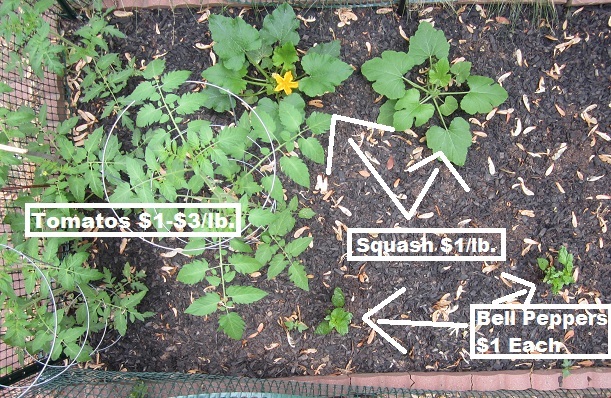 Here's something to thing about - Would you plant nickels and dimes if they grew to be dollar bills? Well that is basically what you are doing when you are planting food! Start small! Don't think you are going to grow enough produce to stock your local grocery store! Also, start with plants, not seeds. Get something like 2 tomato plants and a squash. Research which plants grow best in your area, then pick from that list what you like the best. Keep a close eye on your plants at first. When they are the size you bought them, they will still be small and fragile. Keep them safe from extreme weather conditions by creating a border around the plants for wind or covering them with plastic for rain. YOU want to control how much water they get. You can even grow plants right in pots. This will make it easier to protect your plants from weather since you could just move the pots around (or even inside) to avoid harm. Just make sure your pots are big enough for the plant to grow. Know when your fruits or veggies are ripe. While it is tempting to pick at the first sight of anything edible, make sure they are ripe. Do a little research about what specifically, you are growing to see when to plant and when to pick. Have fun! You might fail once or twice, but learn from it and keep trying. Trust me, it is one of the more satisfying things to make a meal using ingredients that you grew in your own yard! So we are projecting that our small garden will grow $58 worth of sale priced produce! That's definitely worth it to me! 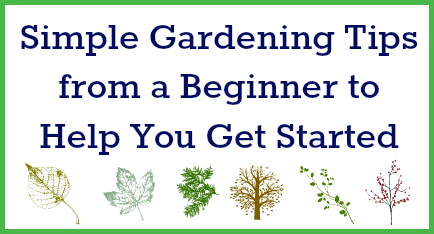 Isn't it time you started growing your own produce!? February 17, 2014 · by Zack Reyes · Post may contain affiliate links. See my disclosure policy here. 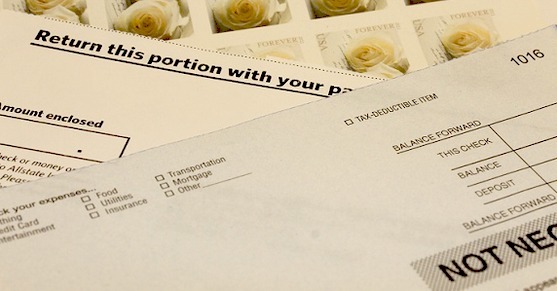 Did you know there are a couple of easy ways to lower the cost of paying bills? Here's one that I was guilty of for many years. For just about all of my bills, I'd write the check, stamp the envelope and pay away! I would totally ignore the pamphlet that came every month about online bill pay services. Occasionally I would think about the wasted stamp and the cost of the check, but I'd just dismiss it. It's just a stamp, right? Think about this: at $0.45 per stamp, you're paying an extra $5.40 per monthly bill each year! Now let's consider the cost of the checks used to pay those bills. 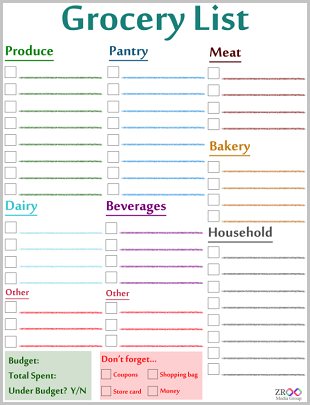 The average cost of a paper check is between $0.10-$0.20 each! That's another $1.20-$2.40 per bill per year! So now we're at an additional cost of between $6.60-$7.80 per bill per year. According to ZdNet, the average household paid 11 bills online in 2008. We can only assume that number is closer to 14 or 15 now. With the cost per bill mentioned earlier, paying 15 bills online instead of paper would result in a savings of $99-$117! Just for switching to online payments! That's $100 for a simple change! I'll take it! It's harder to find a company nowadays that doesn't take online payments than it is to find one that does! Just about everyone is taking bill payment online! So next time you get that pamphlet with your phone bill about online payments, consider the extra $100 or so that you could be missing out on! It's bad enough to have to pay bills, but you might as well try and cut the cost of paying bills as much as you can! Karma points bonus: you can feel better about using less paper by going to online billpay as well! Added financial bonus: some companies will give you a small bonus for signing up for online payments! I've seen a 10% bill credit for one month, a $5 credit and more! February 12, 2014 · by Zack Reyes · Post may contain affiliate links. See my disclosure policy here. I'm not going to tell you to skip Starbucks because you're probably heard that line 1,000 times. If you want to, great. I'm also not going to tell you not to go there because I go there and that would be hypocritical. So what I will suggest, is that you size down from what you are getting already. At most Starbucks locations, the difference between a Grande and Venti espresso drink is $0.40-$0.50. Tall sizes are about $1 less than Venti. So, if you go to Starbucks a couple of times per week and size down just one size, take a look at the savings you'll see each month: You're thinking $4 isn't that much aren't you? Well, do this same thing when you order a soda at the drive through, or when you're out shopping. Don't cut everything out, just order a smaller size, or buy 3 new shirts instead of 4. Making small cuts here and there makes a BIG difference! Simply investing in a couple of power strips can save you a few bucks per month. In today's world, just about every electronic device has an idle mode that it goes into when you turn it "off". That mode uses power. Whether it is keeping a clock running, or a little red light, it's using power. If you have several devices plugged into a surge protector (power strip), it's easy to turn the completely off with one flip of a switch. Get as many of your electronic devices as you can hooked up to power strips and stop using idle power! According to this government site, 5-10% of power used in residences in the U.S. is idle power. So you could potentially reduce your electric bill 10% every month! Check your usage. Do you even come close to using what you pay for? Most people don't. If you're with a monthly contract plan, they may not be excited about dropping you to a cheaper plan, but it doesn't hurt to try. You can really save money by switching to a non-contract plan though. My wife and I have been with Virgin Mobile for years and have saves literally thousands of dollars compared to our old plans. We don't talk on the phone much, so their plan for unlimited text and data with 300 talking minutes is perfect. It's only $35 a month! 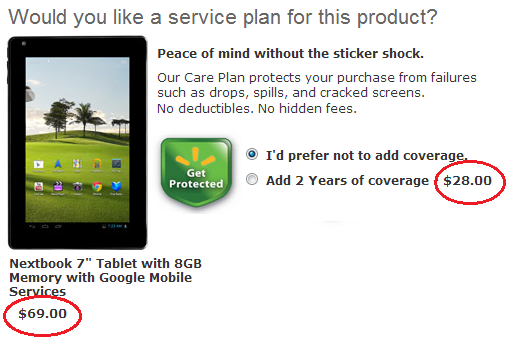 If your current plan is $95/month, take a look at the savings over the lifetime of a 2-year contract: That's insane! Double that (like we did) if you're a two-phone household! The one thing about Virgin Mobile is that because they are non-contract, you have to buy your cell phone up front. That'll cost you $200-$300 up front to get a smartphone like the Samsung Galaxy or iPhone 4. That turns a lot of people away because they just can't get past the up-front cost to see the huge savings in the future. But when you're saving $40-$60 per month, that phone will be paid for with savings in no time! It's definitely worth the look. See Virgin Mobile's phones, plans and more info here. T-Mobile also offers similar plans, however they start at $50 per person. Two quick checks/fixes here can help you. Check your hot water heater's temperature. Do you really need the water to come out of your faucet scalding hot? Reducing the temperature will cause your hot water heater to work less hard, because it won't have to hold the water at such a hot temperature. Here's an article from Family Handyman for help changing the temp. The 2nd quick fix is to reduce your water usage. Many counties across the country now charge based on water usage. Look into low-flow faucets, showers and even toilets to save you a nice chunk of change every month. The average water bill in the U.S. is $50 per month, so if you saved just 10%, here's what it would look like: Add a couple of bucks of savings onto your gas/electric bill for your hot water heater savings and you've got another way to save a nice chunk of change every month. If you've been a reader of this site for a while, you knew I was going here! I basically see coupons as cash. Instead of paying $5 for a grocery item, you can pay $3 and use a $2 coupon! To me, that is a no-brainer! If you're shy or lazy about clipping and using paper or internet coupons, look and see if your store offers clipless coupons! Most stores now alow you to load coupon offers right to your store card! Also check out SavingStar for another source of online clipless coupons. Let's figure that you are using coupons very, very casually, at (5) coupons for $1 off per week. Here's how the savings stack up: Those savings numbers just grow and grow as you use more coupons too! So let's look at the totals. I'll break the savings down to a monthly level, since the savings pictured above vary from by month to by year. 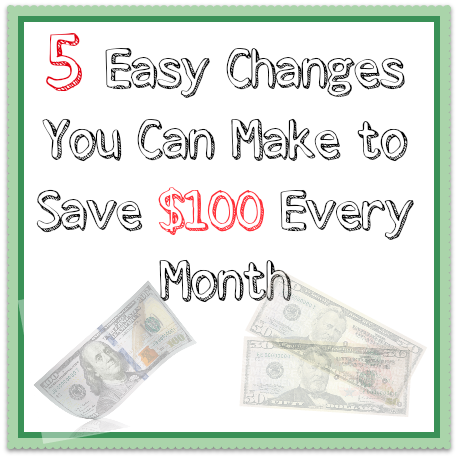 If all you do to save are the easy things above, here's what your monthly savings would look like: $100 per month! And that's with hardly any effort at all! What would you do with an extra $100 per month? Or an extra $1200 per year? January 24, 2014 · by Zack Reyes · Post may contain affiliate links. See my disclosure policy here. So you're dating huh? And you're broke huh? 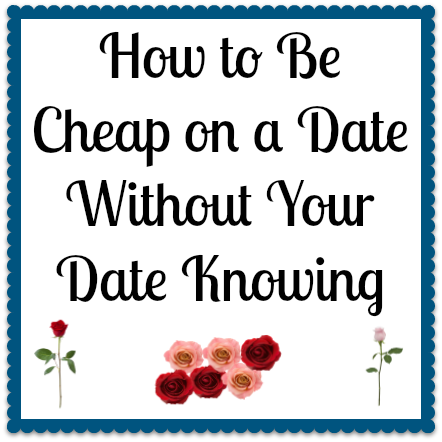 Well, not broke, but let's face it, dates are expensive! Even just dinner and a movie is going to run you $100 or so if you pick up both of the tabs. And you sure aren't going to ask your date to split a meal, or walk 10 blocks to save $10 in valet money. So how can you save some dough the smooth way? If you want to be super aggressive and don't mind if your cover is blown a bit, try to find a restaurant coupon (certificate) at Restaurant.com for a place that you can take your date. The thing about this is that you'll have to bring a sheet of paper with you, because that serves as your certificate. Paying with an 8.5/11 is not the slickest thing you can do. Your best bet here is to find your server when your date is in the restroom and take care of the bill then. If your date doesn't go to the bathroom, try to be slick and excuse yourself to pay the bill away from the table. You can use this same strategy with Groupon deals as well. You can also use Groupon to score a deal on flowers. If you're looking for a more incognito way to save some money, try finding a discounted gift card here or here. Paying with gift cards is generally not even noticed by a date. What they don't know is that if you get the gift card from one of the sites here or here, you will have saved 10%, 20% or more, right off the bat! Currently, the sites have gift cards for Morton's Steakhouse for 10% off and Ruth's Chris for 15% off! Talk about an easy (and sly) way to save! Try suggesting happy hour. Everybody likes a happy hour, so why not go then and score some great specials! Still want to sit down and have a regular meal? Plan on getting there 15 minutes before happy hour ends and have a drink in the bar before sitting down. If all else fails, or you are not wanting to be that aggressive, at least use a credit card that will provide you with some rewards. There are some cards such as the Citi Forward card and the American Express Blue Sky card offer bonus rewards for dining out. If you've got a card that offers good rewards, you may as well use it. I must also say that where ever you go and whatever you do, DO NOT SKIMP ON THE TIP. The bad karma will come back to you, I promise.